We’ve been dreaming. Dreaming about a time when we might own our own home. For many of you, this is a dream that you work on in your 20’s or 30’s. For us, it is something to be aimed for as we come into retirement years. We’ve been debating investment costs versus leasing. Should we invest our money towards a revenue stream or take out the mortgage and see this as an investment for later years and hope that they real estate appreciation provides us as good or better a return. We’re leaning towards buying and the market is soft where we are looking!! Secondly, we’ve been dreaming about owning our own furniture. Now if you are unfamiliar with the model of allowance and provision related to Salvation Army officers you will no doubt think this is rather strange. But it is what it is, and this is our reality. So we’ve been dreaming about having furniture that someone else didn’t buy. I can hardly wait! When we were in Pennsylvania we looked at some gorgeous Amish furniture and I found myself drooling over a couple of pieces. I loved the desk below! Yes, one day our dreams may come true. And I may have my own little garden to putter around in… wouldn’t that be wonderful? 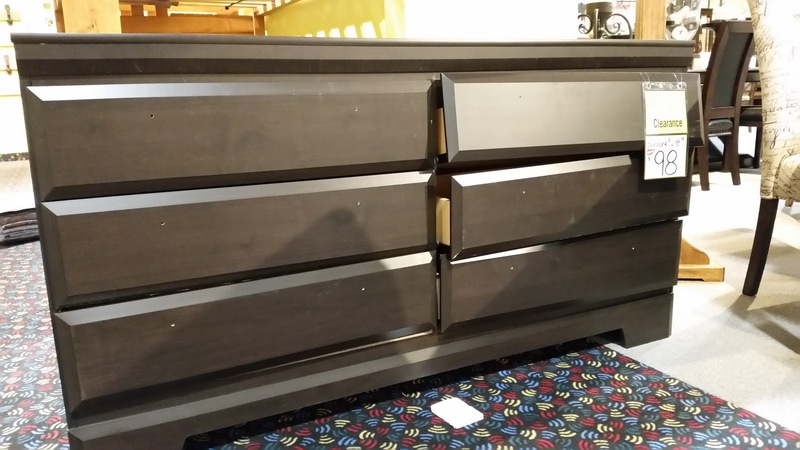 Recently Wendy and I were out trying to find some furniture and in the middle of a show room with lots of very nice furniture sat this beaten up dresser. It’s not well made to start with and I wondered, how on earth does a piece of furniture sitting in a furniture shop end up like this? Did someone return it, did the staff use it for shotting hockey pucks at? And of course my real question – why would you try to sell it? It’s garbage. No doubt some handy man will come along, offer them $25 and take it home to fix up. Not this less than a handyman man. Nope. What some stores sell is just weird. 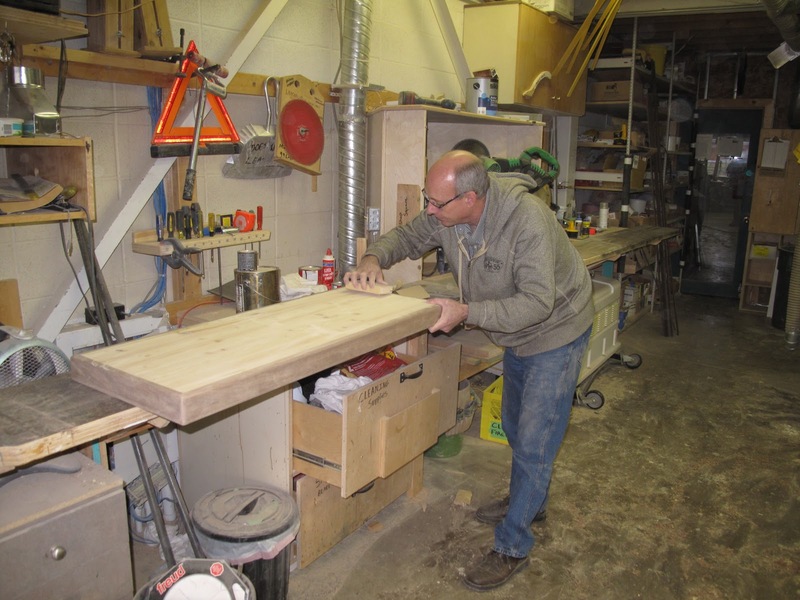 During our recent visit to Canmore, Phil and I spent part of a day at the shop building a new TV stand. Some of the details are in this previous post. Last night I updated my Photobucket account and added the full round of photos from that project there in the furniture making album. Check it out to see all the photos.